Spillways are structures which provide controlled release of excess water from dams and reservoirs. This release is important because excess water can damage dams and cause devastation. 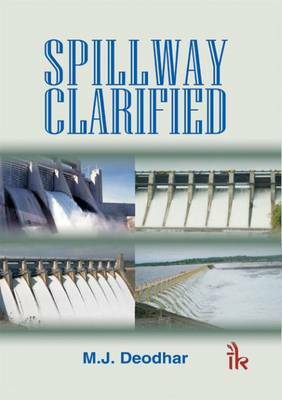 This book discusses various types of spillways, their designs, control structures, energy dissipation arrangements and safety considerations. Written in question-answer format to help students grasp the subject quickly, it contains 30 numerical examples along with 110 diagrams to help in understanding theory. It will be useful for the final year degree and diploma courses, and practicing engineers.